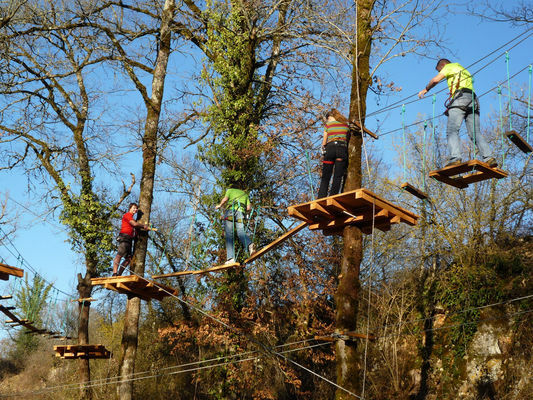 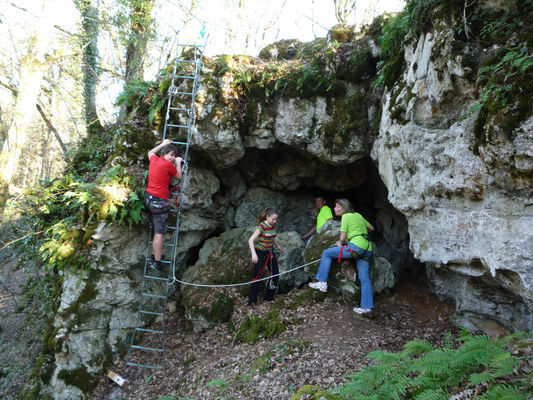 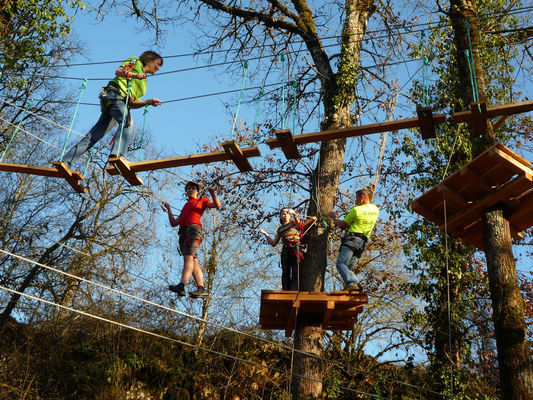 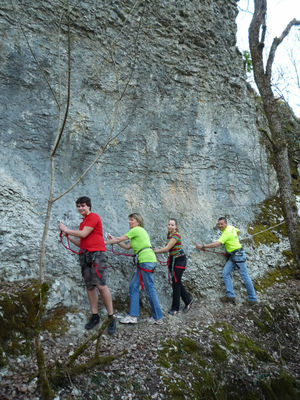 Just five minutes from the superb site of Rocamadour, our adventure park is set in a magnificent natural environment far from the hustle and bustle. We provide 6 fun, increasingly challenging adventure trails in the treetops (Accrobranche), which you can take at your own pace. 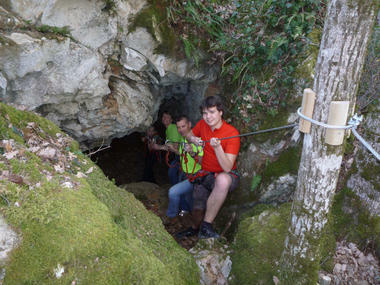 You move from tree to tree in complete safety, going through a little cave and over a rocky outcrop.